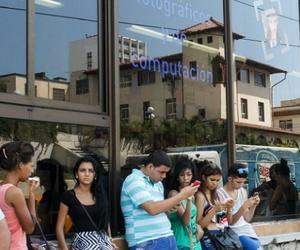 The Telecommunications Company of Cuba, ETECSA (by its Spanish acronym) opened from Tuesday another four WIFI areas for wireless Internet access, located in parks and urban areas of public high influx. The new areas are located in Holguin and Granma provinces; and the other two in the Central and 14th pavilions of EXPOCUBA fairground in the capital. With these new areas there are 50 WIFI public zones throughout the country and it is expected to create five others before the end of the year, and this will be communicated in due course.